Together we will unite, together we will rise up, everything will be easily passed along. As well as in terms of presentation, the presenter and the audience or other participants shall jointly create an atmosphere in dynamic presentations. You will feel saturated, bored and uninteresting in a presentation when only the presenter is active. 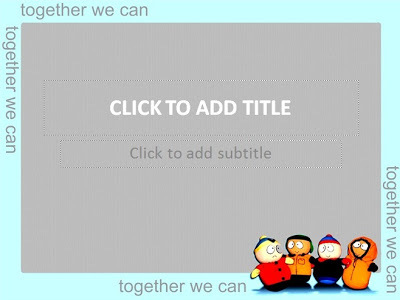 So, we-the presenter and the audience-must together actively in a presentation. This template as a reflection of that.